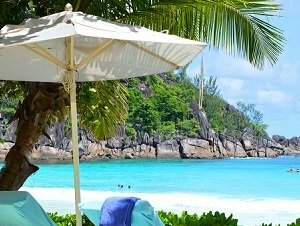 The beach at the Four Seasons isn't only the best in the Seychelles... it grabbed top spot on our list of the best beaches in the World. 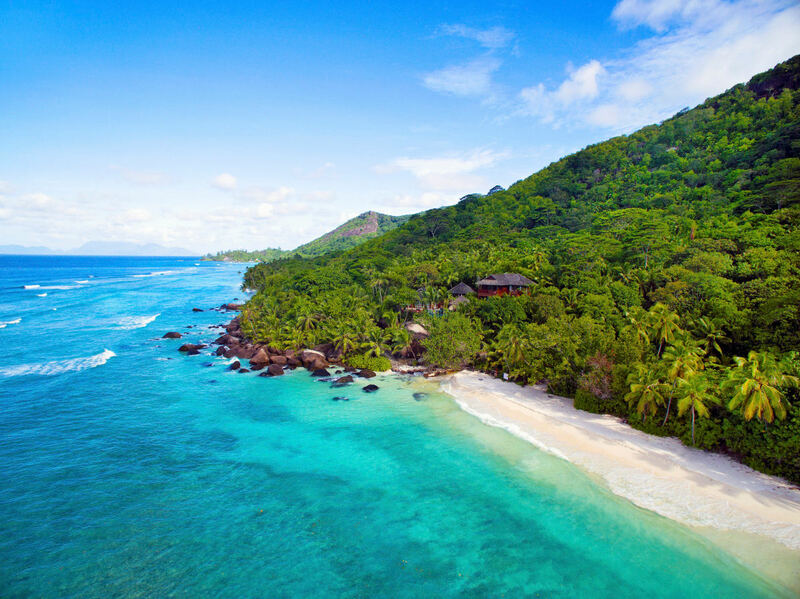 The resort is the best I've ever visited... anywhere.... and this is the one resort in the Seychelles that will exceed even the highest expectations. 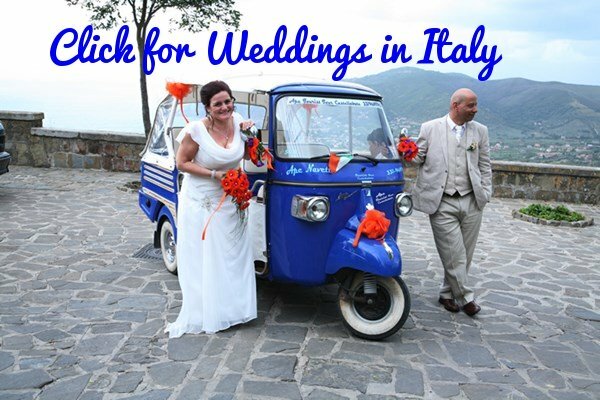 For a once in a lifetime experience, like a honeymoon or special anniversary, you can't go wrong in choosing the Four Seasons. Here's everything you need to know. 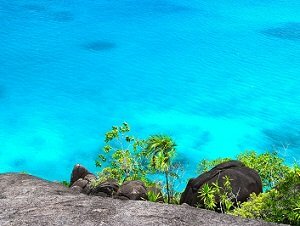 An emerald island rising out of cerulean blue seas. From a distance it seems like something from a dream. 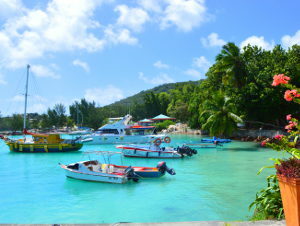 Once you are ashore you realise it is a dream come true. The beaches are up in those top beaches lists, the forests are pristine and the resort offers every luxury you could possibly need. 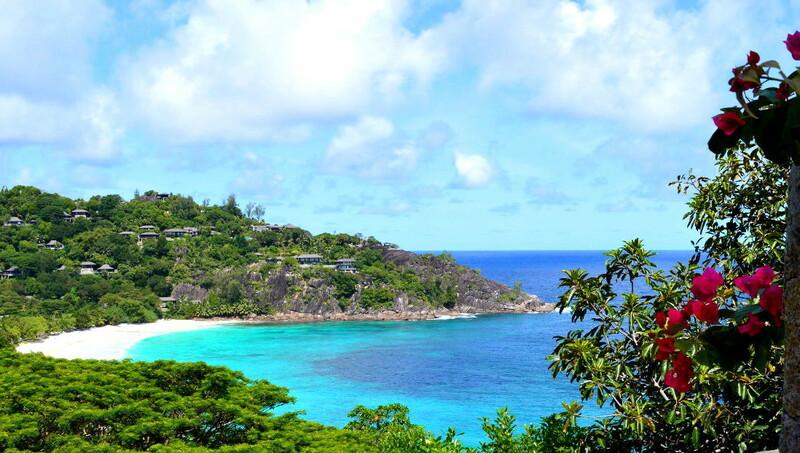 In fact, although this is one of the biggest of all the 115 Seychelles islands, this is the only resort on the island. 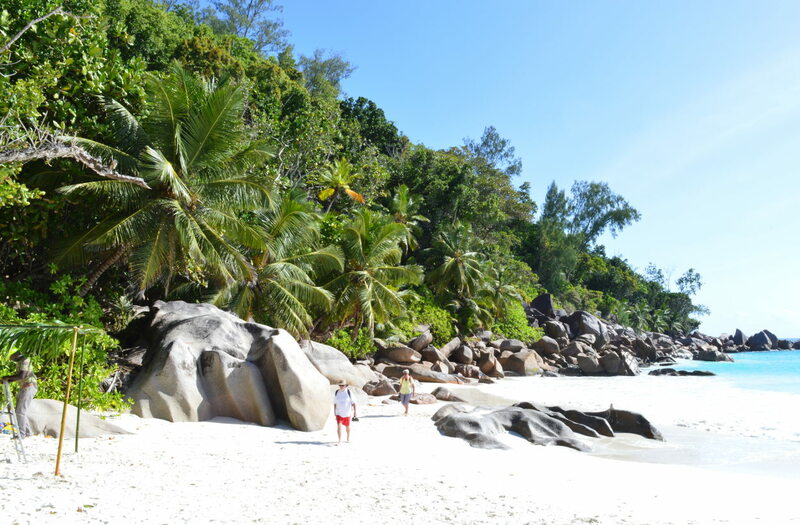 Here's more on the Hilton Seychelles Labriz Resort. The other resorts we feature are all pretty luxurious - this one isn't. 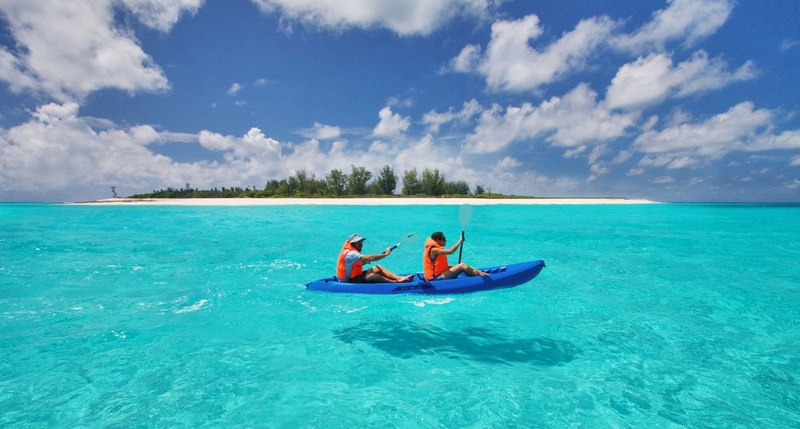 It's more than comfortable but priority is to experience the pristine nature and oceans of an unspoiled island. The number of guests is severely limited so you'll often feel you have paradise all to yourself. If that sounds like something you'd enjoy here are the details. Enjoy golf and beautiful beaches? 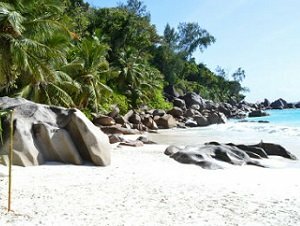 Then your choice of resorts in the Seychelles is very easy.... Lemuria... home to a golf course rated as one of the best in the world and a stunning beach called Anse Georgette. The resort itself is gorgeous, luxurious and, surprisingly for such a "posh" place, the staff have none of that snootiness you often encounter in such upmarket resorts. In fact everyone I encountered was friendly and full of smiles. 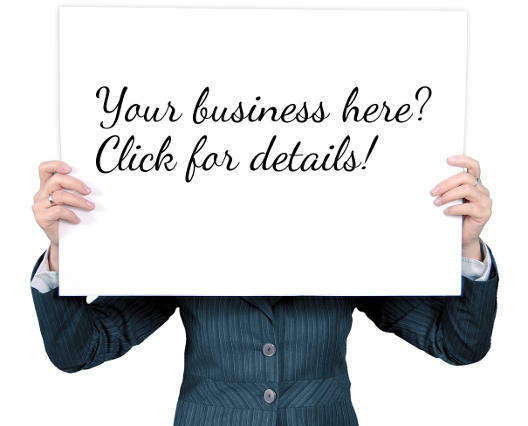 Find out more and get booking information here.